We are commodity professionals enriched with decades of experience dedicated to providing the commodity futures trading professional with service second to none. 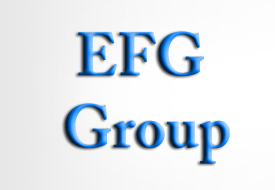 Enlightened by our experience EFG Group, LLC associated with Straits Financial, LLC strives to deliver creative solutions through an individualized approach, accommodating the demands of the commodity futures trading professional with state of the art technology, research and service. Want to learn what we can do for you? Fill out the form below or our IB Questionair here.